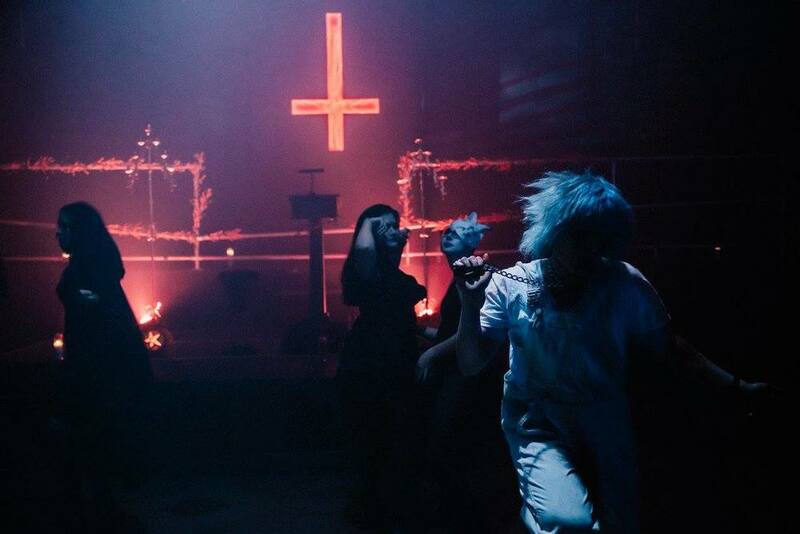 Jex Blackmore Unbaptism Ritual at Detroit's City Club. 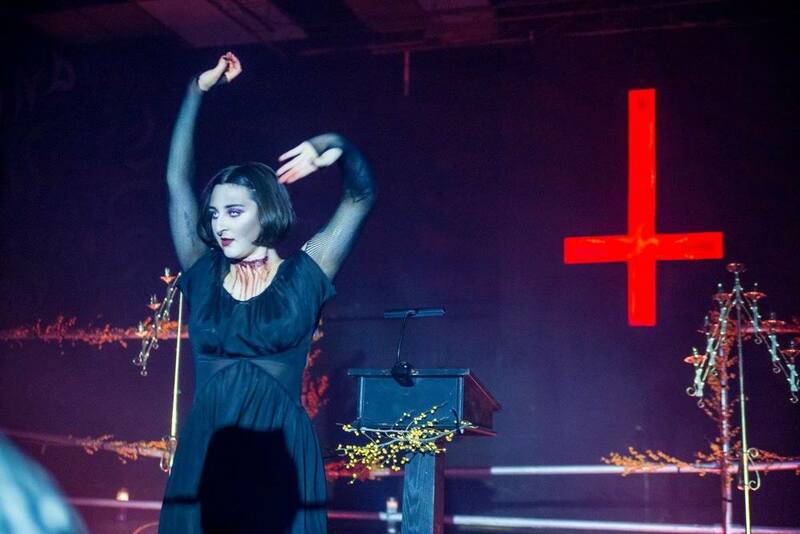 The eve of Halloween is called Devil’s Night, an evening historically known for mischief making and arson in Detroit. 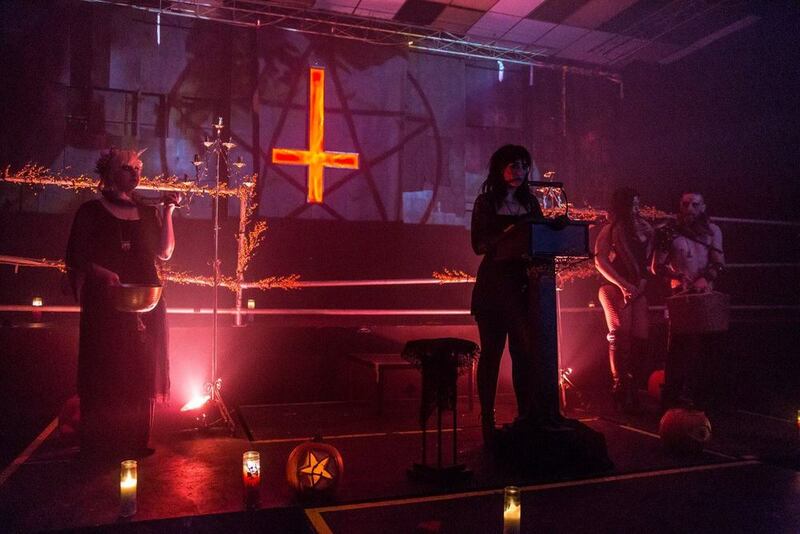 To commemorate the holiday, Detroit Satanists performed an Unbaptism Ritual offering an opportunity for individuals to actively renounce their affiliation with the church, the liberation from which is an empowering and transformative act. 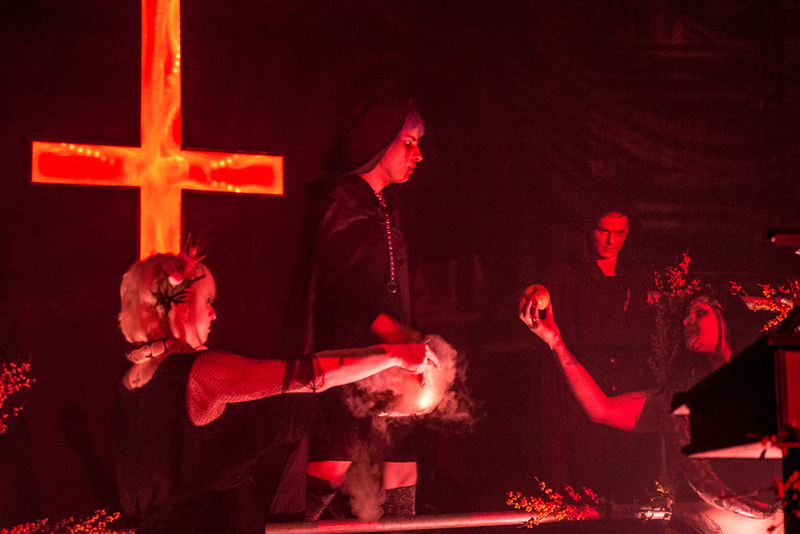 The ritual featured seven participants and included use of holy water or a relic from the participant’s baptizing church. Celebrants extinguished baptismal water into fire when called to “cast your chains into the dust of hell.” Participants were given an apple by a man and woman adorned with live snakes and prompted to “savor the fruit of knowledge and disobedience.” At the close of the ritual, participants were declared, “Unbaptised, in the name of Satan, the Light-Bearer, the Adversary, and the Animal.” Photos by Chris Switzer and Matt Anderson.